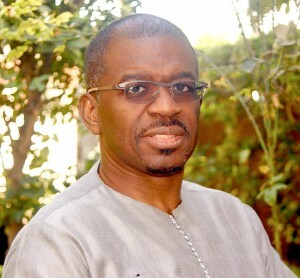 Private Equity Africa (PEA) awarded Papa Ndiaye, CEO of AFIG Funds, the 2018 Outstanding Leadership Award at a ceremony held in London Tuesday night. PEA is the pre-eminent magazine on Private Equity in Africa. It is in recognition of PE professionals who have helped shape the industry. It has been a remarkable year for AFIG Funds with one of the company’s LP Old Mutual also being recognized for a House of the Year Award, as well as INJARO (an AFIG Funds strategic partner) for the Small Cap/VC category. Gail Mwamba, Awards Chair &Managing Editor of PEA said: “The Private Equity Africa awards celebrate industry leaders who are doing exceptional work on the continent, and highlighting their achievements helps develop the continent. The Outstanding Leadership Award is the only category that is voted on by industry peers. Papa was selected by the industry leaders for his consistent contribution to the growth of the industry. We would like to thank Papa for his contribution to the industry and congratulate him on winning this prestigious award.” Papa has been a leader in the Private Equity landscape for three decades. Before AFIG Funds, he was a founding member and Investment Director of EMP (now ECP). Prior to that, he had investment responsibilities in IFC’s Africa Department and helped launch several landmark funds in Africa. He also worked at Salomon Brothers in 1988 before joining JP Morgan’s Emerging Markets Group in 1992 in the Latin America M&A Group and served as Economic advisor to President Wade of Senegal in 2000. In 2004, Papa was selected as a “Young Global Leader” by the World Economic Forum of Davos, and then as one of the “Frontier 100 CEOs” of the Initiative for Global Development in 2009.